Welcome back! 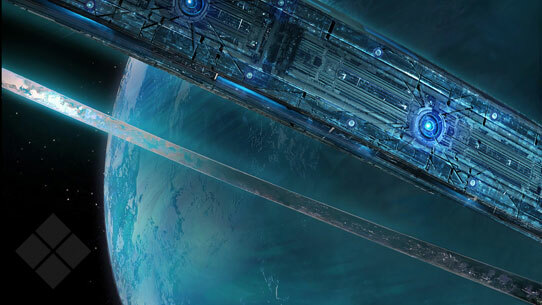 Last week we looked back – way back in fact – into Halo’s past, charting the timeframe in which the Halo Array was fired by the Forerunners in a last-ditch effort to combat the ravenous and seemingly unstoppable Flood. This week, we actually look forward, and take a closer look at some details you might have missed out on between ground pounds and hat trick medals in the Halo 5: Guardians Multiplayer Beta. Personally, one of my favorite aspects of a new Halo game’s multiplayer component has always been exploring the new maps and playspaces. However, I was usually far less interested in where the rockets spawned than I was wondering what in the world a particular Forerunner device must have been used for, or what planet the map could be set on. This probably also explains my typically middle-of-the-pack-at-best performance in the competitive side of Halo, but that’s a whole different blog subject. Fiction fans have long been enamored with the myriad of locations that make up the map sets available in Spartan War Games simulations. Even though the Halo 5: Guardians Multiplayer Beta was just that – a beta, many of you have expressed a desire to know a bit more about the maps where countless Spartans sharpened their skills. If you count yourself among those curious legions, then you are in luck. Here are the descriptions for all multiplayer maps showcased in the beta. One of the first vessels assigned the Fleet of Particular Justice, Undiminished Entelechy and its sister-ship, Purity of Spirit, were surreptitiously ordered to conduct a close-range survey of the holy ring by the Prophet of Stewardship shortly after the arrival of the Pillar of Autumn. 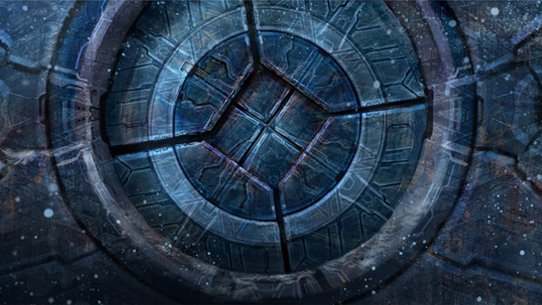 There it took aboard several great servant-machines of the ancient Forerunner gods, as well as a vast store of records harvested from the installation's outlying archives. Unfortunately, the ship was burned out of the sky by Thel 'Vadamee after it was boarded by Flood, to prevent the parasite's escape. Its crew dead after crashing on Halo, the Undiminished Entelechy was quickly obscured by plant growth preternaturally accelerated by the ring's damage control system and environmental remediation protocols. More pressing dangers ensured that the broken ship - and the wonders it contained - would pass from UNSC and Covenant records and memory when the great installation was shattered. How details of the vessel passed into ONI hands for use in War Games recreations - and for what purpose Spartans are being tested in them - remains unknown. Resentment of Earth's tightening grip on the colonies and excesses by the megacorporate council that served as Andesia's de-facto government led to an explosion of Insurrection activity in 2523 that reached even the protected facilities of AMG Transport Dynamics located in the capital, Noctus. Nearly a decade of bloody rebellion followed, until the threat of the Covenant finally aligned the interests of the Insurrectionists and UNSC in a common goal: survival. Some question the wisdom of War Games simulations being set on the colony of Andesia, as anti-UEG tensions remain high on the colony even years after the end of the Covenant War. This constant threat of renewed Insurrectionist activity requires that Spartan operatives be constantly drilled for the eventuality that they will be called upon to secure strategic facilities in the colony during similar periods of chaos and unrest. Unusual activity on an intact Halo demands thorough investigation. 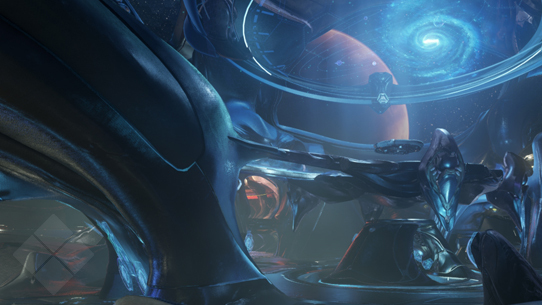 When strange structures appeared on Delta Halo's surface, ONI forwarded the basic layouts to Spartan teams for immediate familiarization and tactical exercises, with the expectation that they would soon be sent to the ring and deal with any Sentinel, Covenant, or Promethean forces that would prevent close scrutiny. Though based on incomplete remote surveys, the Orion War Games simulation is a best-guess reconstruction of unusual Forerunner buildings that appeared seemingly overnight at key power and data junctions on Delta Halo; around which local Sentinel forces suddenly became actively hostile and organized. War Games use a mix of props, holography, and simulated sensory information fed through a neural interface to create truly lifelike training environments. Though frowned upon by some UNSC leaders, the use of this system for inter-fireteam competition and off-duty entertainment has proven quite popular among Spartans. The UNSC Infinity counts among its crew some of the most skilled War Games programmers in the fleet. Though kept busy creating environments for real-world combat ops or scientific simulation, a small cadre of designers and artists wheels-and-deals in favors to create custom spaces optimized and balanced for arena Slayer and Breakout fans. So that’s all for this week, hope you enjoyed a closer look at the fiction behind the Halo 5: Guardians Multiplayer Beta maps, and we hope that you’ll join us again here next time for MOAR LORE. Until next week… Live well, play Halo, and always remember where you put your Keyes. New Universe Entries this week! Originally designed for farming purposes, the Brutes reconfigured the Chopper, transforming the machine into a swift and violent assault vehicle. 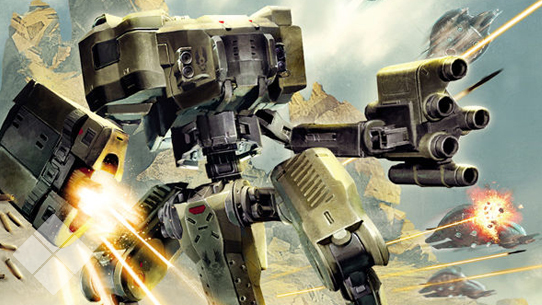 In this week's Canon Fodder, we ask Brian Reed and the 343 Industries Pro Team about some of their favorite story corners, plus, new Universe entries! This week in Canon Fodder we go out on a date, plus, four new weapon entries in the Universe section! Welcome to Canon Fodder, your cozy little corner of HaloWaypoint.com perfect for those who long to surround themselves with the ever-expanding Halo narrative. This week we take a look at what to expect from this feature, as well as highlighting a few of our newest Universe entries.